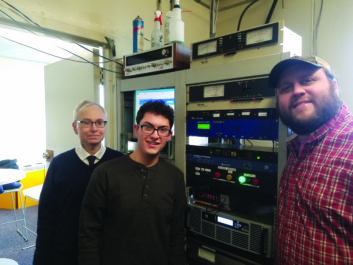 HEMPSTEAD, N.Y. — WRHU(FM)/88.7 MHz has been the voice of Hofstra University and the surrounding community for 60 years and is Long Island’s oldest noncommercial radio station. As chief engineer of WRHU, it is my responsibility to make sure that our 430-watt FM signal remains technically competitive in the New York City market. Tasked with upgrading our aging air chain and transmission paths, I needed to find a processing solution that was superior to our competitors and also cost-effective while being capable of handling a variety of formats and styles with minimal supervision. After doing much research, discovery and listening trials, I felt that the Wheatstone FM-55 was the best tool to accomplish our goals. The FM-55 is an easy product to install and configure and has a powerful GUI that provides access to all the advanced machine functions. We have found these features to be essential to competing in the New York City market. WRHU, part of Hofstra’s Lawrence Herbert School of Communication, has a diverse staff of more than 230 students and community volunteers and is the only college station in the country contracted to produce, broadcast and distribute games for a national sports franchise, the New York Islanders. With the FM-55, our sound is now superior to our much larger peers in the NYC market and helps us maintain our edge and presence.